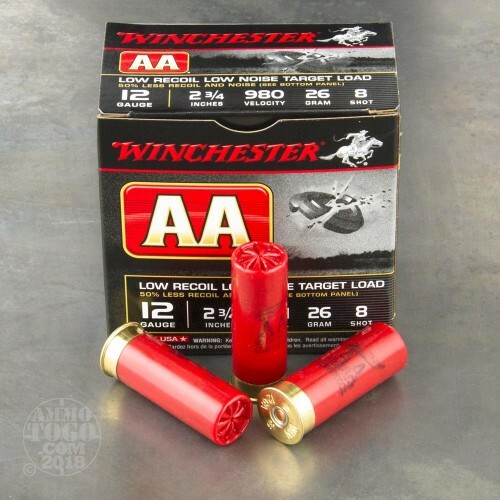 These Winchester rounds are an industry standard and sure to please expert and novice trap shooters alike! 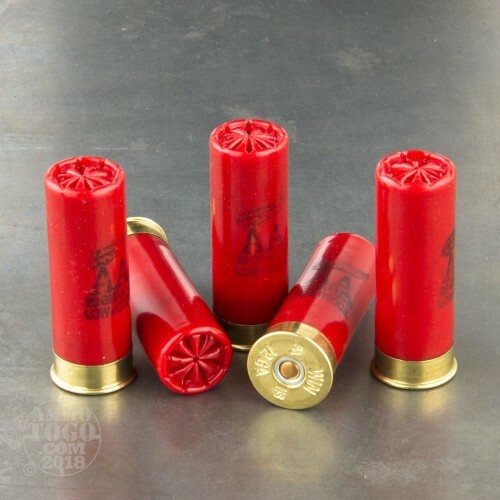 Each of these 12 gauge shotshells is optimized for competitive use in clay sports and Cowboy Action with a unique powder charge which produces less recoil and noise than standard loads without compromising on ballistic effectiveness. 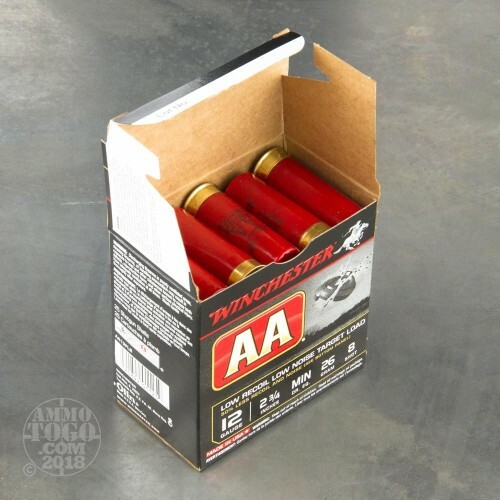 Winchester also builds these shells using their famous AA wads which reduce felt recoil, make the most efficient use of propellant gases, and protect shot pellets during the firing process. When shot pellets are able to maintain their round shape, they are less likely to fly erratically from their pattern and more likely to travel longer distances with greater impact force. The 7/8 ounce load is very appropriate for shattering clays at medium range and is easily managed by young or handicapped shooters. 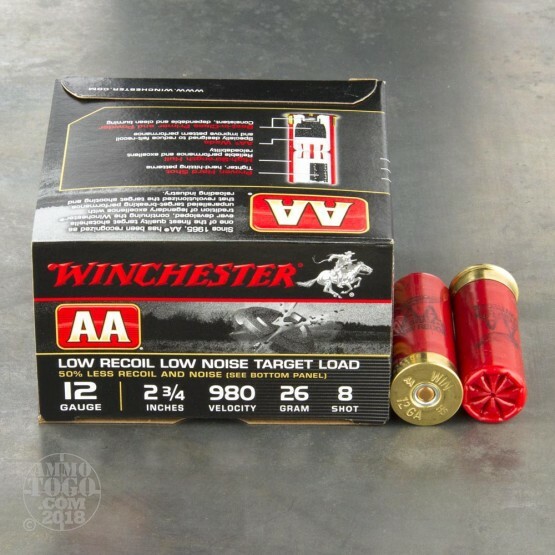 Winchester shotshells are manufactured in the United States and are backed by more than 150 years of industry experience and expert feedback from the world's finest hunters and competitors.